Last week: The Knights defeated No. 9 Patterson, 65-57, and then-No. 6 Edmondson, 65-57. Last week: The Gaels extended their winning streak to six, defeating Mount Carmel, 75-68, McDonogh School, 75-68, and Glenelg Country School, 81-61. Last week: The Cardinals went 3-1, defeated St. Maria Goretti (67-58), Loyola Blakefield (62-33) and then-No. 7 St. Frances Academy (69-62) and lost to No. 11 John Carroll School (47-44). Last week: The Millers defeated Patapsco, 73-27. Last week: The Lakers defeated Dunbar, 74-56, and No. 13 Poly, 61-50. Last week: The Titans defeated Hereford, 76-41, and Dundalk, 76-55. Last week: The Red Storm defeated No. 18 Ben Franklin/Masonville Cove Academy (72-65) and Digital Harbor (62-52) before a 65-57 loss to No. 1 City College. 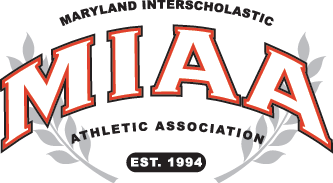 Last week: The Rams defeated Eastern Tech, 92-59, and Catonsville, 102-77. Last week: The Clippers lost to No. 1 City College, 69-62. Last week: The Panthers lost to Loyola Blakefield (64-59), Mount Carmel (65-62) and then-No. 2 Calvert Hall College (69-62) after a 76-71 victory over McDonogh School. Last week: The Patriots went 2-1, defeating then-No. 2 Calvert Hall College (47-44) and Gilman School (51-35) and los to Archbishop Spalding, 74-43. Last week: The Scorpions defeated Long Reach, 79-59. Last week: The Falcons went 3-0, defeating Meade (55-43), then-No. 19 Dulaney (61-51), and Broadneck (54-48). Last week: The Engineers lost to No. 5 Lake Clifton, 61-50. Last week: The Gators defeated Centennial, 76-65, and Howard, 70-45. Last week: The Raiders defeated Wilde Lake, 66-46. Last week: The Wolverines defeated Kenwood, 63-35, and Perry Hall, 55-54. Last week: The Bayhawks lost to then-No. 6 Edmondson, 72-65, and defeated Cristo Rey, 70-39. Last week: The Cavaliers went 4-0, defeating Loyola Blakefield (51-48), then-No. 11 John Carroll School (74-43), McDonogh School (61-54) and Loyola Blakefield (66-39). Last week: The Crusaders extended their winning streak to six, defeating St. John’s Catholic Prep (61-57), Annapolis Area Christian School (70-43) and Boys’ Latin School (74-71).